If you want to work with students that possess above-average intellectual ability, then you must first become a licensed teacher within your state. To that end, complete a bachelor’s, take the required number of education courses, participate in a licensed-teacher-supervised teaching internship at a local school, pass stringent background checks, pass teacher qualification exams (e.g., the Praxis I and II), and, finally, apply for/obtain licensure from your state’s department of education. From here on, though, it gets somewhat complicated. For starters, there are no standardized criteria for “gifted” students or teachers nationally—i.e., each state/district defines what a “gifted/talented” student is, how such students will be taught, and what credentials are necessary for gifted-student teachers. I t is up to you to find out what specific requirements you state/district imposes. The good news, however, is that states are more than ever keenly aware of the special needs of gifted students. You can help your state better cater to them. Put simply, a “gifted” student is a child that learns faster, is able to grasp sophisticated concepts and, in general, is easier to teach. In fact, some people have compared gifted students to large, insatiable sponges (average students being just “sponges”). Teachers who specialize in gifted-student instruction say their students make their jobs easier, don’t have to be pushed to learn and don’t hold up the learning process—in fact, some teachers report having trouble keeping up with gifted students! As for how many gifted students there are, an estimate given is about 6% of the population (or about 3 million). This number originally appeared in the 1972 Marland Report to Congress. First of all, each state may use different terminology or titles. One popular title given is Gifted Intervention Specialist (GIS). Your state’s department of education, in conjunction with local colleges/universities, designates what courses you must take in order to qualify for GIS (or similarly-termed licensing) designation. Yet other possible designations are highly qualified teacher (HQT) and gifted coordinators. The bottom line is that licensed teachers who wish to work with gifted students must have the skills/familiarity with the special needs/propensities of gifted students. They may also have to have a more advanced/sophisticated familiarity with the core subjects taught. First get to know the unique characteristics of your gifted students; it’s about catering to the needs of individuals. Forget your concept of “normal”; gifted students, among other things, challenge the status quo and invite new avenues of pedagogical methodology. Rely on on-going, one-on-one assessments. Become familiar with Piaget’s and Bloom’s developmental theories; they will help you better understand what “gifted” ultimately means. Bring parents (“resource locators”) into the picture. 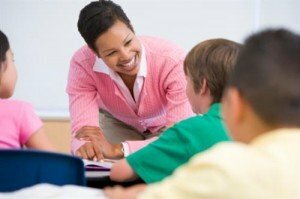 Since there is no guarantee that you will find a job as a gifted-student teacher, your best bet is to, first of all, become a teacher. As you gain experience, master the craft of teaching, you can then aspire to go for something deeper and higher—i.e. becoming a gifted-student teacher. Of course, finding such a job assumes that schools will accommodate such students in the future (which is not guaranteed) and that you meet the specific criteria for gifted-student endorsement.